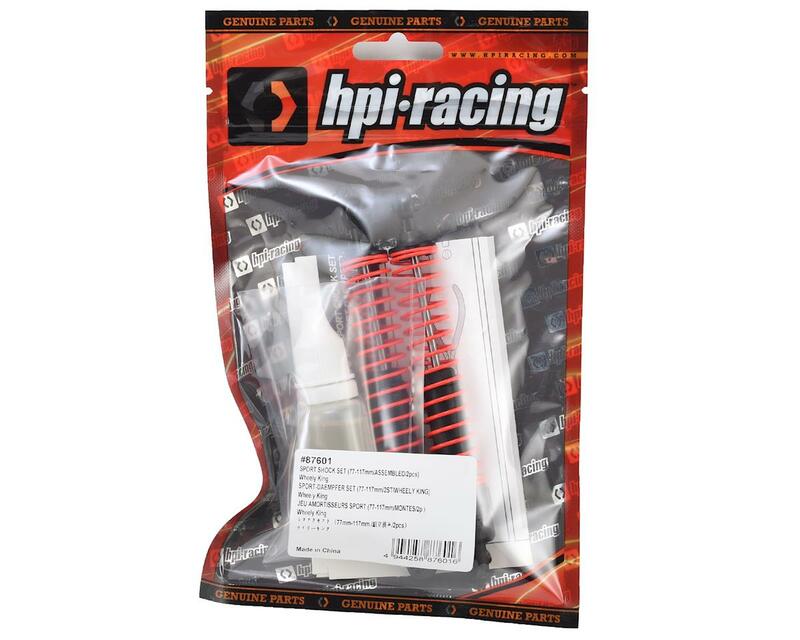 This is a pack of two replacement HPI 77mm-117mm Wheely King Shocks. 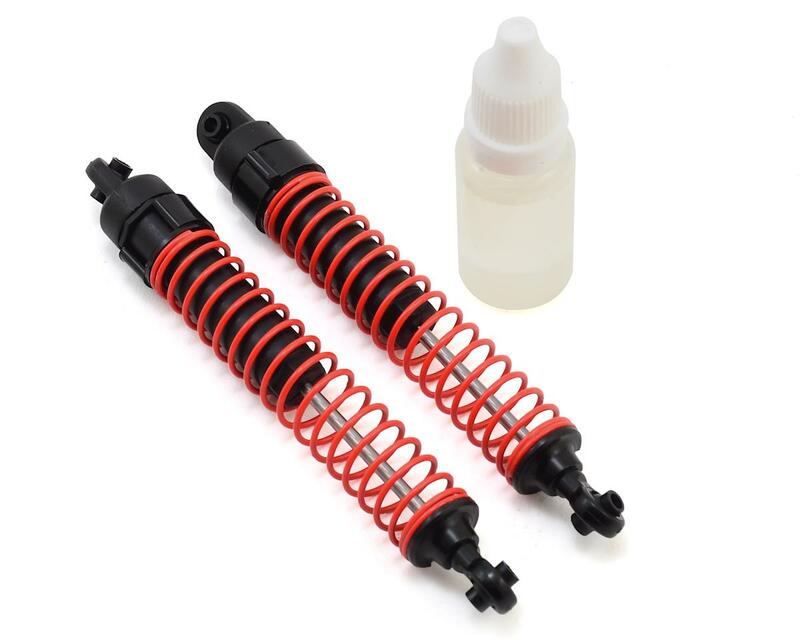 These shocks come assembled and ready for installation in the front or rear of the vehicle. A bottle of shock fluid is also included.